Hole In One Leads to $35K White Gold Diamond Necklace! Now here’s a hole in one prize winner definitely worth talking about: Richard Ross of Grand Rapids, Michigan won an 18k white gold diamond necklace valued at $35,000, provided by Thomas S. Fox Diamond Jewelers and paid for by Hole In One International, thanks to his hole-in-one at the Crystal Invitational at Cascade Hills Country Club on July 13, 2012. While this was Ross’ fifth hole-in-one to date, it was also a first, as Ross had never previously won an insured hole in one prize prior to his ace on the 150-yard 11th hole. Be sure to read the full story here on our recent press release! Are you a jeweler looking for more great promotion ideas that can help drive traffic to your store? Hole In One International’s sister company, Odds On Promotions, can help! In fact, just a few years ago, Odds On paid out a $20,000 winner who received a 100% rebate on his purchase during a snowfall conditional rebate promotion! Conditional rebates are ideal for jewelry stores — you can insure for a variety of weather-based events. For example, award your customers if it rains more than x inches on the specified promotion date. You can even reverse it and have Odds On pay out if it rains less than x inches that day. Sports conditional rebates are also very popular: Award your customers with a rebate if your local team wins the big game, hits a grand slam, scores a defensive touchdown… you name it, Odds On can insure it! Feel free to give them a call today at 888-827-2249 or email them for a free, no-obligation quote. And of course, congratulations again to Richard Ross! We hope you’re enjoying your well-earned prize! Hole In One Insurance Winner: Rich CangiolosiHot Off the Press: $10K Hole In One Prize Pays Off! 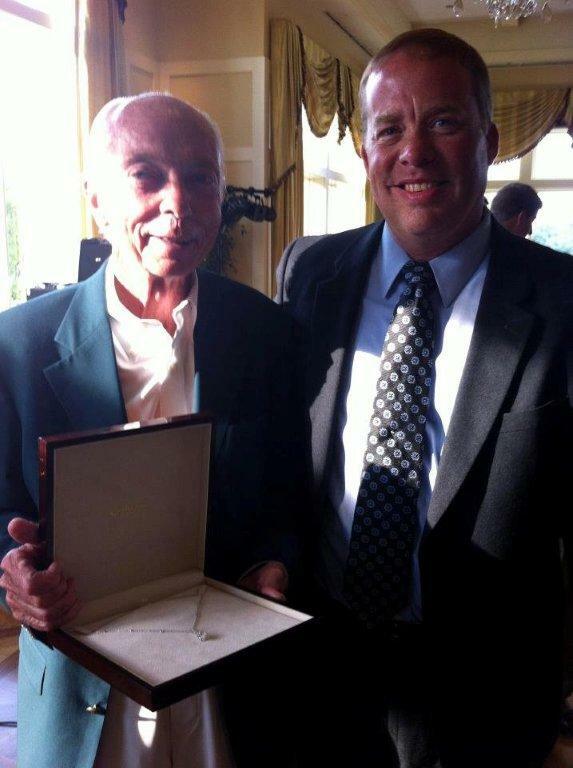 Home » Blog » Hole In One Leads to $35K White Gold Diamond Necklace!